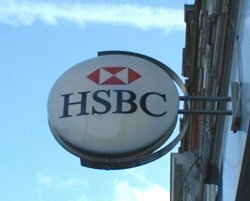 HSBC has released an app that enables its customers to access bank account details from their mobile phones. HSBC has released an app that enables customers to access bank account details from their mobile phones. The Fast Balance app, which was jointly developed by the bank and mobile banking supplier Monitise, is now available on the iPhone and will soon be made available for Blackberry and Android phones. Users will be able to instantly view balances and recent transactions for up to 10 accounts. Under the current contract Monitise will support the app for three years. Banks are starting to cater for the increasing number of customers demanding the ability to bank securely from smartphones. In February Barclays bank launched an application that allows mobile phone users to make free payments to other UK mobile users directly. This followed the bank’s work on a private cloud that will underpin the app as well as a raft of cloud-based mobile banking services that are set to follow. Within five days of its release over 120,000 people downloaded the Barclays app. UK 22% internet users “never or infrequently” use desktop/laptop only mobile. secure fast payments: now I’d pay good money for that. With Android now holding more than 45% of the smartphone market why do developers still insist on releasing iOS versions first?